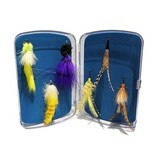 A 6-pack of Sandy's favorite BIG Tarpon flies. We hand pick this selection based on years of experience. 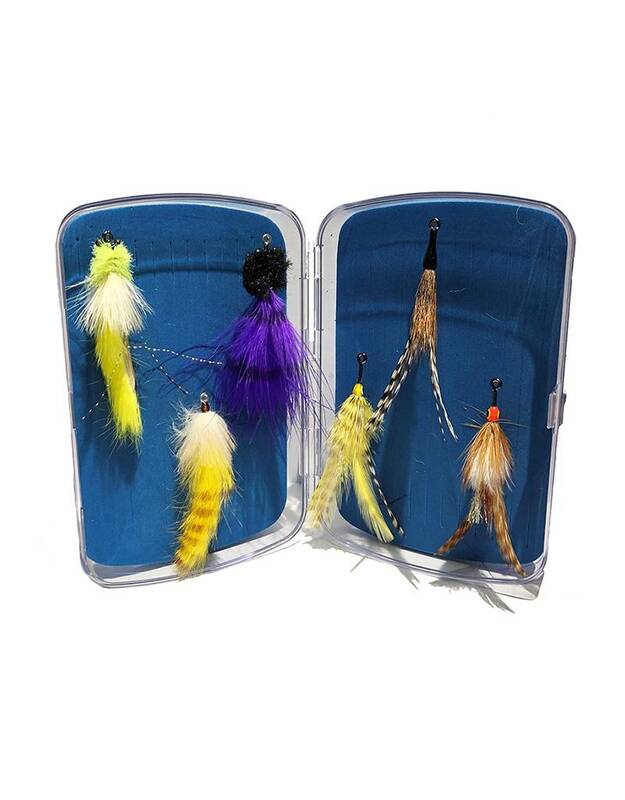 Selection includes one of each: Tan toad , Chartreuse toad, Purple toad, Lemay's Big Eye Tarpon fly in Sand Devil and one in Yellow. Along with a cockroach pattern. All flies packaged in a Cliff's Crab Shack. Save 20% when buying the selection from individual.